Four years ago maybe a few bank anglers were using skein. Now there’s 100 people on the wall I drift past every day using it. Everybody realizes that the salmon do bite skein and you don’t have to try and snag them to catch them. 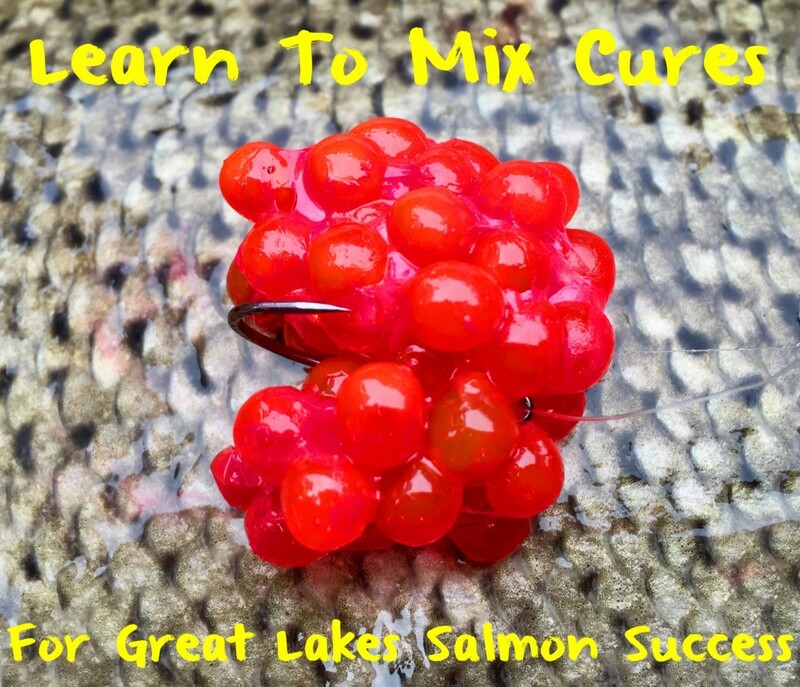 However, us guides revealing our egg curing secrets has made it tougher for us to catch salmon simply due to the pure numbers of people using the cure. To combat the pressure and maintain success I’ve started to mix cures. Doing so gives me stronger and more vivid colors. I’ll be honest my favorite combination is Pink Fire Cure with Red BorX O Fire, but I use several other mixes, too. I mix cure because I like the Borx O Fire and Fire Cure and mixing them gives the eggs a different texture and different scent than most guys are using. Mixing the cures has helped me keep my catch rates steady even as competition increases. 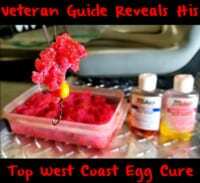 *Pink Fire Cure and Pink BorX O Fire gives me bright pink eggs – I use this for slightly stained water. *Natural Fire Cure with Pink BorX O Fire. This gives me a light pinkish color, which is my favorite for crystal clear water. *Pink Fire Cure with Red BorX O Fire – I use this in all conditions. Seems to work all the time. Mixing cures is simple. Many are intimidated by it, but its just as easy as using one cure. Here’s the step-by-step process I use and they come out perfect. 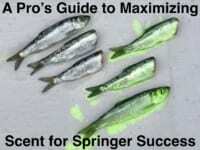 And, I use this process daily during salmon season. After taking the skein out of the fish I cut it into chunks and discard any loose eggs without the membrane on it. I always want the membrane intact so my egg loop holds the eggs tight. I put one layer of cut skein in a Tupperware and then sprinkle Fire Cure on. I use just enough to cover the whole layer. The color I use is a reflection of the water conditions we are fishing. I put another layer of skein and cover that with more Fire Cure. Then I put gloves on and mix all the skeins and cure together. It’s important to make sure all eggs are covered with the cure. At this point I’ll sprinkle BorX O Fire on top of the skein and mix it in just like we did the Fire Cure. Let the eggs sit for 3-4 hours at room temperature. At this point you should have lots of liquid in with your eggs. Once I see this happen I mix everything in the liquid again. I want all the liquid to get in all the eggs. Place Tupperware in the fridge. I’ll let the skein sit in the fridge for a day and then mix it again. For best results let it sit one more day and it’s good to go. Editor’s Note: Kevin Davis operates Catch the Drift. For more information on his guide service please visit www.catchthedrift.com or https://www.facebook.com/catchthedrift.